Whether it’s heritage charm or ultra-modernity that floats your boat, one thing is for sure: there’s a property to call your dream home somewhere out there. Let’s start by taking a look at some of the most stunning, unusual, and amazing homes in and around Melbourne. 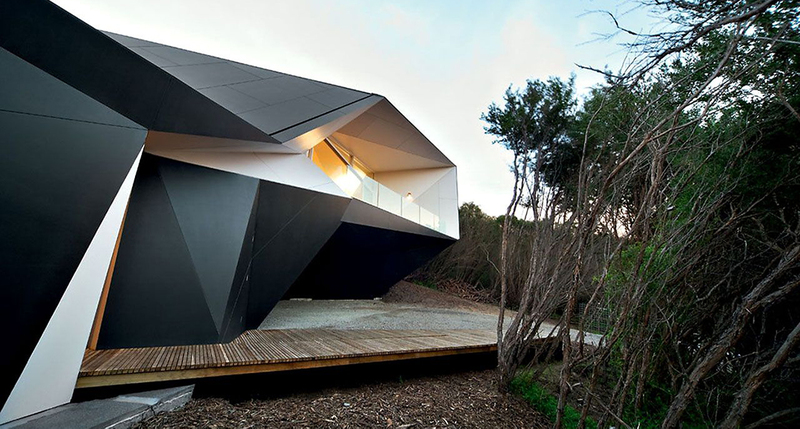 Klein Bottle House - a complex spiral-shaped building perched on the sand dunes of Mornington Peninsula. Inspired by a topological mathematical concept, architects for the Klein Bottle house use computer-aided design technology to bring to life a complex spiral-shaped building perched on the sand dunes of the Mornington Peninsula. The home revolves around a central courtyard, with a grand rich-red staircase connecting all the levels in a tradition akin to the experimental heroic houses of the 1950s. An exquisite grand Victorian tower garden home surrounded by several of Melbourne's finest private schools, Balmerino offers both a luxurious interior and classic exterior. 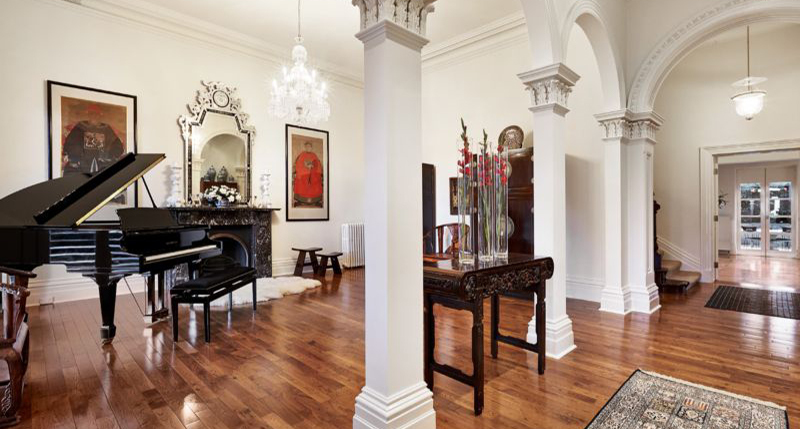 This breathtaking property in Hawthorn East epitomises Victorian opulence. The tower-colonnaded mansion boasts five bedrooms and four bathrooms, a sprawling second-floor balcony, and a meticulously landscaped garden. The living and dining rooms have marble mantles and open fireplaces and sit adjacent to the gorgeous music room featuring polished wood floors and intricate plaster detailing. Wolseley House in Brighton, Melbourne: proof that a multi-zoned space made from concrete and wood can be the perfect home for a family. This Brighton gem is proof that an open-plan house of concrete, steel, and timber can be the perfect family home. 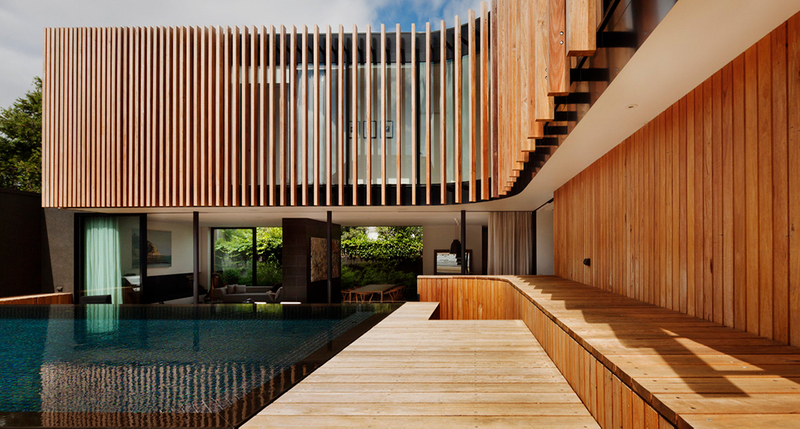 Created by residential design practice mckimm for the firm’s founder Nick McKimm, his wife Anna and their three kids, the house features four bedrooms, a study, and an L-shaped structure formed around the family’s favourite spots – the pool and outdoor entertaining area. 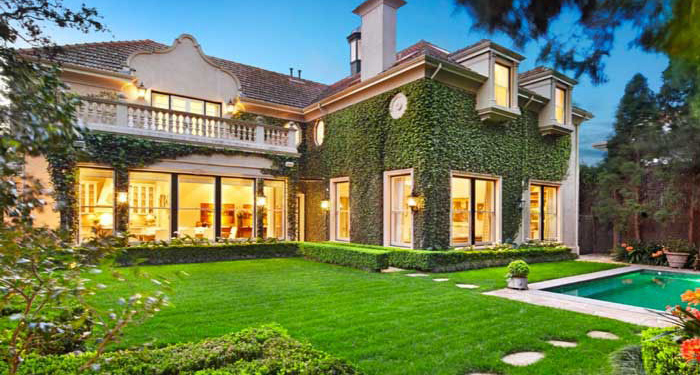 Built in 1887, Torresdale Manor in Toorak retains its old-world style. For the lords and ladies, Torresdale Manor in Toorak provides all the elegance one could ever wish for in a home and then some. Built in 1887, the home’s bespoke and restored features capture its old-world charm in the form of antique chandeliers, marble, bronze fittings, and silk accessories. To top it all off, the property’s exterior is covered with impeccably maintained ivy. Contemporary in design and sustainable in function, Orlo blends comfortable living with easy entertaining. Who says prefab can’t be beautiful? Architect and design firm Archiblox’s Orlo marries contemporary design with sustainable building principles to create a modular home that’s truly stunning. Orlo provides an abundance of natural light and can be orientated virtually anywhere to take advantage of passive design and energy savings. Features include double glazing, insulation, Tasmanian-oak flooring, and low LED energy lighting. The famous Pole House is a must-see when driving down the Great Ocean Road. The famous Pole House has been perched 40 metres above Fairhaven Beach in Victoria for more than 37 years – and it’s earned a reputation for being a must-see stop-off when driving down the Great Ocean Road. 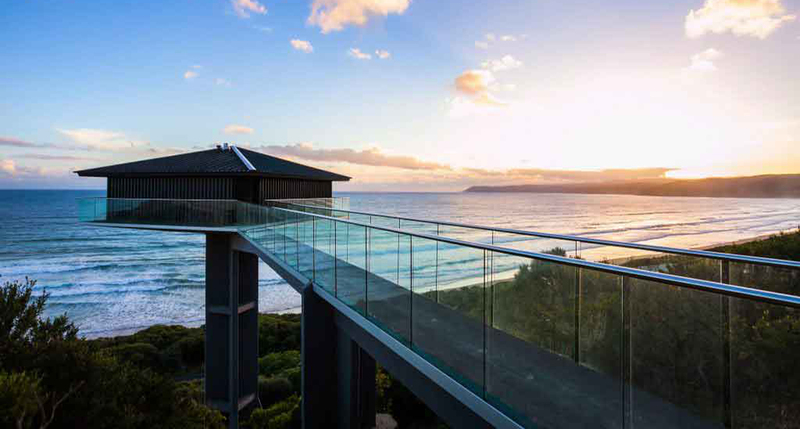 The recently refurbished property is designed from steel and glass, taking full advantage of its spectacular surroundings and breathtaking ocean views. Polished concrete floors from the property's original days as an industrial warehouse is what you'll find at 1 Margaret St, Richmond. 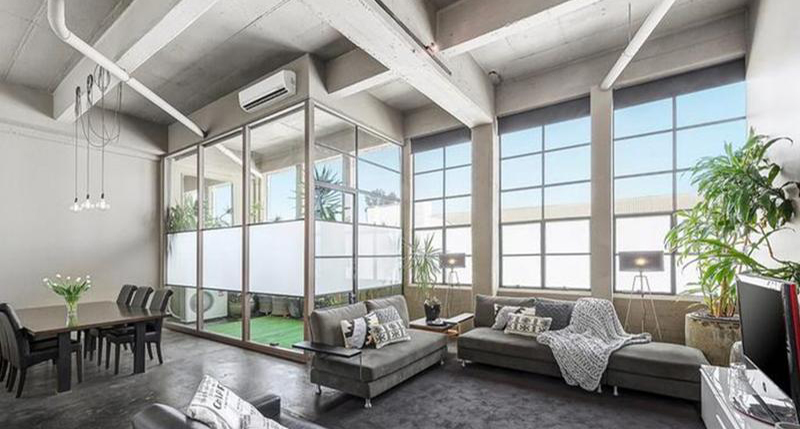 If industrial chic is your thing, you can’t look past 1 Margaret St in Richmond. The space features unique concrete beams holding up the ceiling and polished concrete floors from the property’s original days as an industrial warehouse. 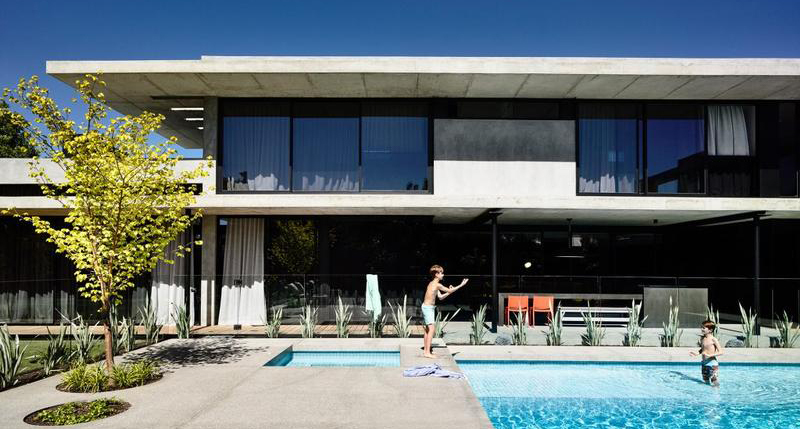 It may not be everyone’s cup of tea, but for those who love the clean-lined simplicity of concrete, this could just be the ultimate dream home. The renovation and restoration of a grand Victorian dwelling badly in need of repair resulted in the textured areas between old and new pavillions at Kooyong Residence. This boom-style double-fronted home follows a story of two distinct but equally impressive pavilions. 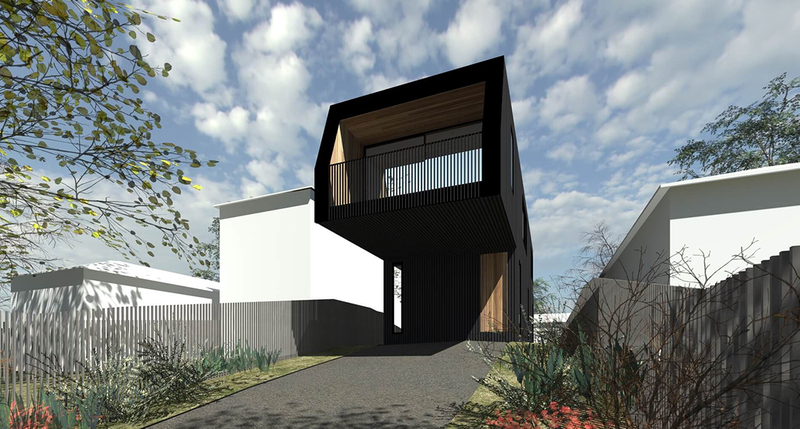 At the front is a tasteful restoration of the original Victorian building, and at the rear is a new contemporary double-storey addition featuring sleek wood panelling curved around a modern entertaining area. Transversing the courtyard area between the two building is a glazed bridge, connecting old and new seamlessly. Ready to find your dream home? Take a look at our latest property listings in Melbourne and beyond.